Our campus is open, inviting and welcoming to everyone! Please visit and participate in the excitement as often as you'd like. A variety of interesting and engaging events are always happening at Garden Spot Village. Some are exclusively for residents so you have to live here to experience those, however, many are open to the public. Garden Spot Village strives to be a good neighbor; welcoming people of all ages, graciously extending hospitality. Come! Join in all the wonderful things that are happening here. The Garden Variety is available online here! The Garden Variety is a monthly publication that typically includes “Resident Only” or “Future Resident” events, but it also serves as a window into our community. Garden Spot Village will host the National Prescription Drug Take Back Day in partnership with New Holland Police Department on Saturday, April 27. This event provides an opportunity for the public turn in unused and expired medication for safe disposal. A $5 donation per bag of unused medication is recommended. For additional information, visit takebackday.dea.gov. "Why the Rest Hates the West"
Dr. Meic Pearse, Houghton College, will present "Why the Rest Hates the West," a lecture based on his book by the same title, published by InterVarsity Press in 2004. Dr. Pearse has taught and presented around the world. Before starting at Houghton in 2004, Dr. Pearse taught church history and led the theology degree program at the London School of Theology for almost a decade. On a more occasional basis, he has also taught at Regent’s Park College, Oxford and the University of Newcastle in England, and at universities in Macedonia, Croatia, Romania, the Czech Republic, Russia and the U.S. This presentation is free and open to the public. Dispose of documents and papers safely and securely. Bring up to five boxes or bags full of confidential documents (financial records, legal papers, etc.) to be securely shredded. Suggested donation: $5 per box or bag. A luncheon to learn more about life at Garden Spot Village. Visit gsvlookandlearn.org to find out more and register. Seating is limited. For the public 50+. A panel of representatives from the Plain Community, including Anabaptist Financial and Bank of Bird-in-Hand, will be present to share about Plain Communities and Money. Organized by the Lancaster Mennonite Historical Society. Free and open to the public. Village Voices: "From Spirited to Spiritual"
Village Voices, the Garden Spot Village Choir, will perform "From Spirited to Spiritual." The lively performance will have you clapping your hands and tapping your toes. Join us to be enlightened and inspired. Free and open to the public. A panel of representatives from the Plain Community will be present to share about Social Development within Plain Communities including child rearing and dating. Organized by the Lancaster Mennonite Historical Society. Free and open to the public. 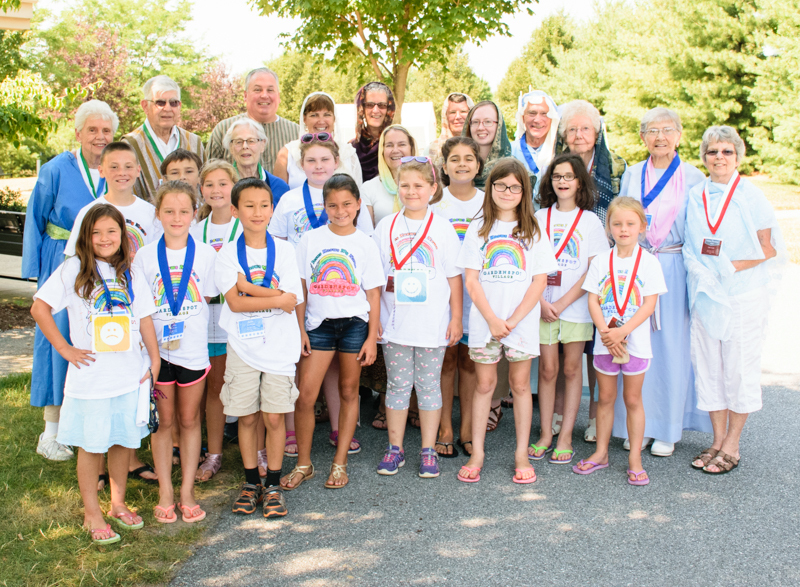 Garden Spot Village's award winning intergenerational Grands & Kids Camp offers opportunities for residents, future residents and their family members to make lifetime memories. From on-campus adventures to off-site field trips, activities planned include a blend of education and entertainment. The Garden Spot Village Train Club will host an Open House in the Train Room. The HO-gauge train layout includes Thomasville and the ever-popular “Talk with Thomas” event. The O-gauge train layout includes waterfalls, a drive-in movie theater, a Ford dealership showroom and more. Both layouts provide plenty of train action complemented with heavily detailed scenery. Free and open to the public.